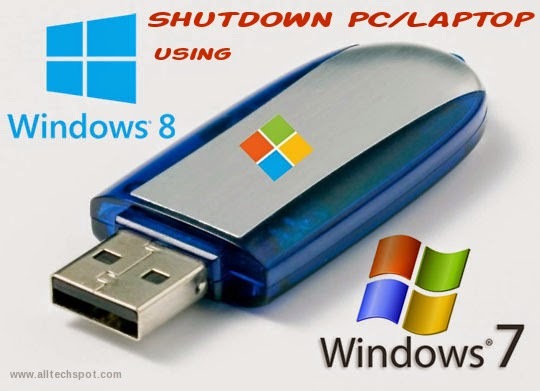 After a long time, writing an interesting article about shutdown/turn off the system using pendrive. Normally, we turn off the computer or laptop through continuous by pressing or holding the power button for a few seconds, you may be able to stop the computer with a USB stick. Only Notepad Tricks can use on a USB stick, and the same technique to the PC / laptop by writing it in the batch file. The system turns off when the flash drive to your PC or laptop. it's just surprise you and your friends with this simple tip used. Open the notepad, and copy + paste following codes in notepad. 00 is indicating that system will shut down after 0 seconds.You change the timing in the desired seconds. Then copy the two files in your pen drive, Just finished, whenever you insert his pen drive,the system will be turned off automatically. Thats it! Hope will you enjoy with this small tip, if you have any other way to shutdown, let me know by commenting below.